Cryptocurrency popularity and value soared in 2017, and prominent names such as Bitcoin and Ethereum continue to lead the pack as far as support and adoption, as well as market price. While these two have been the long-standing leaders of the space and hold very big aspirations to bring crypto and blockchain functionality to the general public, scalability has been a major issue for both of these industry leaders. Ethereum can currently only handle about 15-30 transactions per second, with Bitcoin just slightly below this number as well. With Visa handling nearly 45,000 transactions per second, the crypto space has been struggling to provide a massively scalable institution that could help it to garner much larger traffic and support from the world at large. If Ethereum and Bitcoin want to be the go-to means of transacting value, they need to be able to handle tens of thousands of transactions per second and meet the demands that millions of users require. Nano aims to be the answer to this problem. They are offering a new solution that is backed by a thoroughly researched and tested blockchain model called the block lattice. With block lattice structure, the work and processing is exquisitely spread throughout the network by giving each node its own blockchain, and making it cost next to nothing to run these individual chains. With zero fees, instant transactions, and an infinitely scalable structure, Nano aims to be the solution to the scaling issue that has been plaguing the cryptocurrency community. As of February 2018, Nano was trading at a price of over $9 with a daily trade volume of $50 million. It was the 24th most valuable currency available, gaining a lot of traction due to the promises to solve the ever-elusive scalability issues. Nano was founded in 2015 by Colin Lemahieu, a career technology and cryptography expert. Nano describes itself as a low latency payment platform that requires minimal resources to function, making it cheap and efficient to run, not to mention more scalable. Nano’s functions are simple: scalability, instant transactions, and zero fees. They believe that simplicity is key, and in order for people to begin using this technology with greater frequency, the use case and functionality must be at the forefront, not the ubiquitous code. Using their unique block lattice technology, they hope to create a system of nodes that all operate efficiently and cheaply so as to allow easier entry and simplicity to the sometimes overly technical cryptocurrency space. By giving each user their own independent blockchain, they can avoid the costly process of continuously updating the ledger with each transaction. Nano hopes to be the currency of choice for all P2P interactions with crypto and hopes to provide use cases for creatives, trading, business to customer setups, and more. 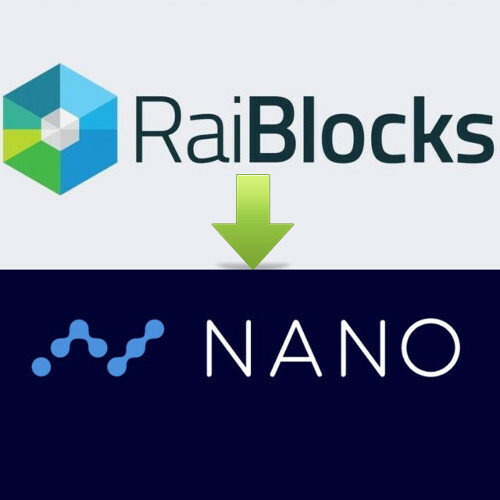 As mentioned, Nano operates under a block lattice structure. This structuring makes it so that each account’s blockchain is only authorized to sign its own block, and not blocks generated by other users. The result is that each account chain can be updated immediately and asynchronously to the rest of the block-lattice for nearly instant transactions. Since blocks can only be added to the network via an account-chain’s owner, transferring funds from one user to another requires two transactions: a send transaction deducting the amount from the sender’s balance and a receive transaction adding the amount to the receiving account’s balance. The received transaction can be performed at any time; the recipient does not need to be online during the send transaction due to the pre-cache proof of work that is ready to go. Each of these nodes costs next-to-nothing to run and perform functions for the user. Since transactions are handled independently and the blockchain as a whole is not updated with every transaction, interactions are incredibly lightweight. This means they are able to move instantly and at the cost of a mere micropayment. On the Nano platform, each user account is assigned its own blockchain, which is part of a larger directed acyclic graph. This means that the entire chain does not need to be updated with every interaction, rather, each independent blockchain updates as needed, freeing up tons of processing power. Each individual user on the network provides all of the computational power required to verify their own transactions, meaning that a trancaction does not require the entire Nano network to update the entire blockchain ledger. An easy way to picture the future that Nano is trying to create is to illustrate the may different use cases that they can provide users. These use cases span from helping people buy groceries, helping suppliers pay for goods, tracking ownership rights, and more. For crypto traders, some coins can be difficult to work with due to associated fees, volatile price jumps, and slow verification times. Traders need to have access to instant trades and a dependable infrastructure so that they can react to market conditions as they happen, rather than having to wait up to 45 minutes to complete a trade. Both high-frequency and casual traders can benefit from the instant trades along with the next to zero fees, and this results in a trading environment that is both more efficient and more profitable for traders of all backgrounds. Currently, the rights associated with pictures, videos, and songs are difficult to secure. Torrenting and other digital means have taken away the ability for creatives to earn what they truly deserve for their content. With blockchain and Nano, these creatives can receive micropayments and sell licensing rights to their products and ensure that with each view and use of the content, they will be compensated at a rate that they determine. This applies to digital asset rights, content subscriptions, monetization, and more. The digital content industry is booming, but the correct mechanism for managing this giant ecosystem has not yet been realized. In brick-and-mortar stores and ecommerce, payments are currently handled by centralized banks or services (like PayPal or VenMo) that store information on a centralized ledger. 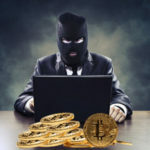 A popular concern, it is now known that this is a less efficient and much less secure method of storing information and engaging in transactions. Seamless checkouts done straight from your mobile phone using Nano are just around the corner, and this will allow both businesses and consumers to save time and money while participating in and supporting the decentralized movement. Overall, Nano is a leading competitor in the space due to the fact that they are keeping it simple, and offering a solution to the main problem all crypto ventures face – scalability. All of the promises and dreams of the various crypto projects will never come to fruition if they cannot handle the scale of millions of users. With a unique product in block lattice that can allow for faster and more scalable use cases for users, Nano is poised to leave a lasting impression on the financial world and get cryptocurrency to mainstream adoption much faster.